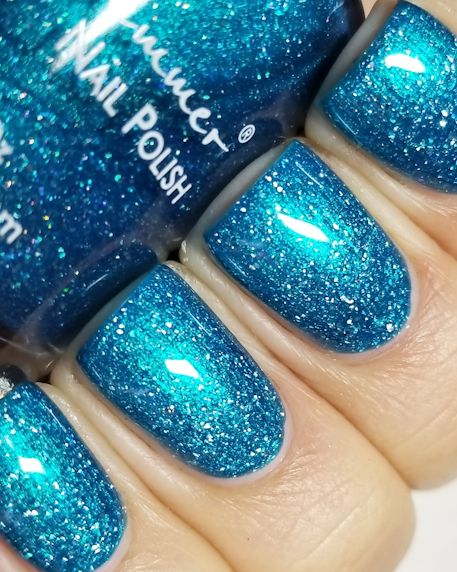 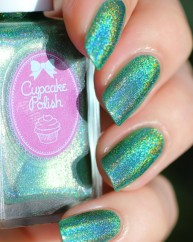 A jewel toned teal leaning blue, this polish is filled with holo glow flakes that accent a strong turquoise shimmer that makes this polish shine bright. 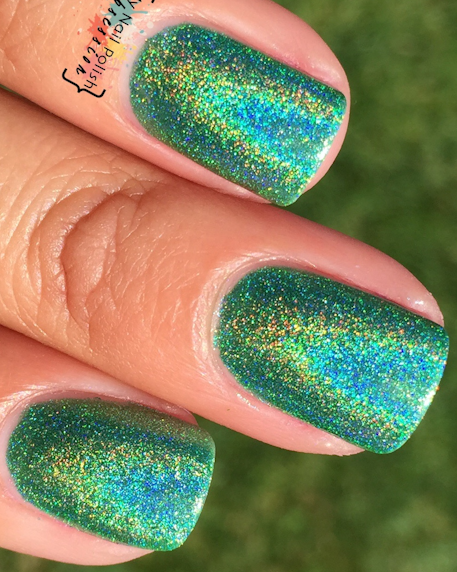 This polish just GLOWS in real life! 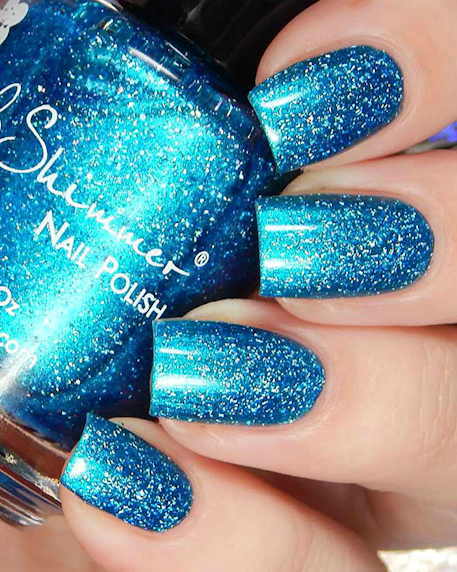 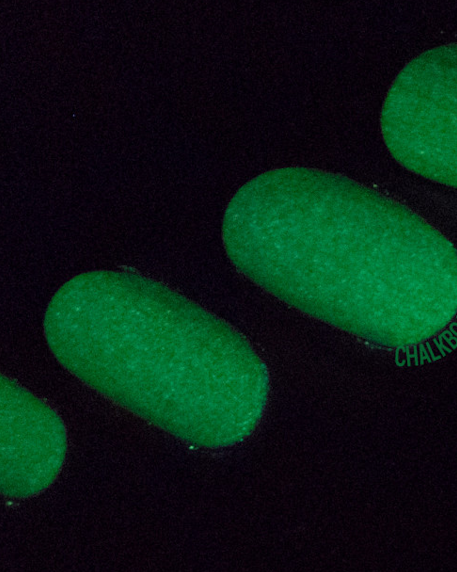 Such a vibrant green based blue with strong blue shimmer! 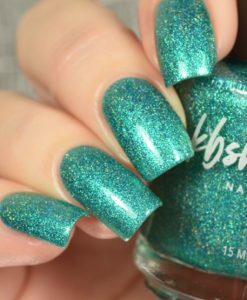 Great formula, a little thinner than other kbshimmers due to the shimmer load, but still opaque in 2-3 coats depending on application.